Here is the ‘about me’ section where I get to talk about myself. I have been a professional musician for over 25 years. I studied both violin performance and conducting at the Hartt School of Music and University of Kansas. Even though violin is my primary instrument I also perform regularly on viola. My main source of income is playing in regional orchestras but I also perform event music as either a solo violin/viola or as part of a string quartet. 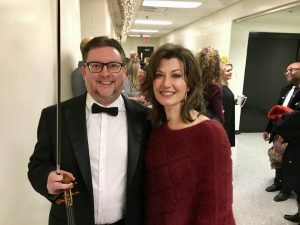 At any given time, I play in at least four different regional symphonies each year. Right now those groups include the LaGrange Symphony, Valdosta Symphony, Rome Symphony, Georgia Symphony, Tallahassee Symphony among others. Additionally, I freelance for special events such as the Legend of Zelda symphonic tour and the Amy Grant/Michael W Smith Christmas show. 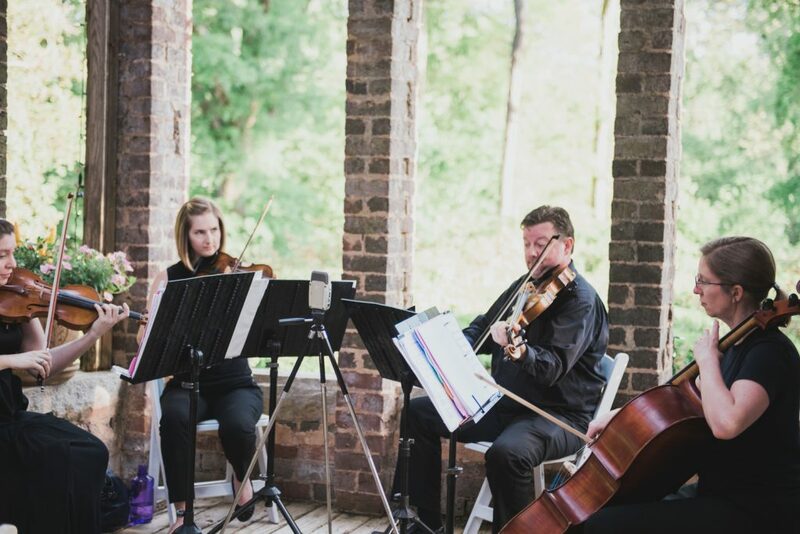 In the past, I’ve performed with orchestras such as the New Jersey Symphony, the Hartford Symphony, the Kansas City Chamber Orchestra, the Orchestra of St. Peter by the Sea, and many others. I’ve also played in many musical theater and opera productions. Additionally, I volunteer for several groups including the Christian Community Orchestra and the Atlanta Praise Choir and Orchestra. I am available for solo weddings as well as with a quartet or other small ensemble. I have a large catalog of solo arrangements that I can play at any event. Most of what I play are my own arrangements. For any event, there is a significant up-charge for Stairway to Heaven, That Song from Titanic, and Freebird. Just kidding. I enjoy playing new music and always have fun arranging and performing songs that a client has specifically requested. My song list is ever-increasing, and I also have a YouTube playlist that I send to clients for a sample of the types of music I can play. I perform regularly with the Celebration String Quartet as well as smaller ensembles and as a soloist. Recently, I have begun performing at senior centers. Rather than a straight-up concert, these performances are more of a lecture/recital with stories and anecdotes relating to my life as a musician and about the music that I play. Chuck gave a breathtaking wedding a classical and elegant touch that brought the guests to tears. He was so professional and he played all the music requested. We thank you for a wonderful evening. – Joelia C.
In addition to performing, I also am an active composer and arranger. I do many of the quartet arrangements that we perform and I also do arrangements for elementary orchestra and chamber ensembles. You can see more about that here. I am also an experienced conductor who loves working with orchestras of all ages and levels. Every orchestra that I’ve worked with has improved dramatically, and I’ve enjoyed conducting some pretty big works like the Saint-Saens “Organ” Symphony, Tchaikovsky’s 5th Symphony, and Brahms’ 1st and 4th Symphonies. Want to Hire Me? Contact me below.